Rob Couch is a member of the Banking and Financial Services, Real Estate, and Governmental Affairs practice groups. His focus is on mortgage lenders and investors; affordable housing; regulatory matters involving HUD, Ginnie Mae, FHA and other government sponsored enterprise matters; and governmental affairs. Rob served as a Commissioner on the Bipartisan Policy Center's Housing Commission until September of 2014. He previously served as General Counsel of the U.S. Department of Housing and Urban Development (HUD) from June 2007 to November 2008. in that role, he acted as the chief legal advisor to the Secretary, Deputy Secretary and other principal staff, providing advice on federal laws, regulations and policies affecting HUD programs. Prior to his position with HUD, Rob served as President of the Government National Mortgage Association (Ginnie Mae). He also served as a member of President George W. Bush's Task Force on the Status of Puerto Rico in 2008. Rob has a wealth of private sector skills and experience. Prior to his government service, he was President and Chief Executive Officer of New South Federal Savings Bank in Birmingham, at the time the largest thrift in Alabama. He also served as General Counsel and Chief Financial Officer of First Commercial Bancshares. An active member of the mortgage banking industry, Rob is a former Chairman and a member of the Board of Directors of the Mortgage Bankers Association of America. 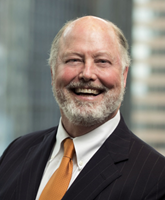 He has also served as President of the Mortgage Bankers Association of Alabama. Rob is a Certified Public Accountant (inactive) and a Certified Mortgage Banker (master certificate).